Tracking and billing time to clients is an important and inevitable part of working in a law firm. 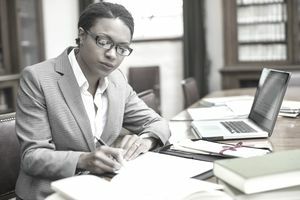 Partners, associates, paralegals, litigation support staff and other timekeepers bill their time in six, ten, or fifteen-minute increments, depending on firm policy and client directives. If you fail to bill your time, the firm cannot invoice the client, and the firm does not get paid. Thus, timekeeping is a function vital to law firm success. As legal fees increase, clients have become more cost-conscious and tech-savvy. Consequently, clients are examining legal bills more closely and employing a variety of database applications to electronically sort and analyze billing data. A growing trend toward e-billing (electronic invoices) has subjected legal invoices to increased scrutiny, negotiation, and dispute. Whether you are new to billing time or a veteran time-keeper, the tips below can help you create prompt, accurate and precise time entries. Detailed task descriptions are a fundamental component of a well-drafted invoice. It is important that the description of your efforts contain sufficient detail to allow the reviewer to gauge the nature and merit of the task. Striking the right balance between brevity and detail can be tricky. A task description that is too long and wordy increases ambiguity and dilutes comprehension. A description that is too brief makes it difficult to assess the appropriateness of the task performed and the time expended. For example, perfunctory phrases like “file review;” “trial prep” and “document review” do little to tell the story of what you did and why you engaged in a particular task. Instead of “document review,” a better description is “Review of plaintiff's second set of interrogatories." Clients recognize block billing as a strategy to disguise inefficiency. Moreover, many courts do not permit block billing because it hinders effective reimbursement of attorney fees following a judgment. A more effective way of billing is to separately itemize each independent activity and its corresponding time. Recording your time immediately after you complete a task is the best way to ensure accuracy. Attempting to reconstruct a days’ (or week’s or months’) activities after-the-fact is difficult and encourages time “padding” (inflating actual time spent on a task to fill in gaps of unaccounted-for time). You may find it impractical to enter each task into your timekeeping software the moment you complete it. Therefore, it’s wise to develop a system for recording time that encourages prompt timekeeping. Some timekeepers dictate each task immediately after they’ve performed it and have it transcribed at the end of the day. Others find it easier to keep a time notebook, recording each task by hand and then entering it (or having a secretary enter it) at the end of the day, week or billing period. Like any document you prepare for another’s review, it is important to keep your audience in mind when recording time entries. You may know the individual reviewing your bills — perhaps the in-house counsel assigned to the file. Understand, however, that the review may not end there. In many cases, an invoice is processed by a number of individuals at various levels inside and outside the company including legal professionals, accountants with the client corporation and third-party auditors. In recording your time, it is best to avoid abbreviations, slang, and complex jargon. Use concise legal terminology but bear in mind that your timesheets may be reviewed by individuals who are not trained in the law. Every client has its own billing policies and procedures. These policies are often contained in the client’s retention or engagement letter. These billing policies may set forth staffing limitations, budgetary guidelines, disbursement policies, and specific timekeeping guidelines. By becoming cognizant of the ground rules at the outset, you can more responsibly account for your time and meet client expectations. Corporate clients are making increased use of task-based billing. Task-based billing tracks a firm’s billing by litigation task. Each substantive activity is assigned a computer code that is pre-selected by the client. The coded invoice is then electronically sorted and analyzed, allowing an in-depth analysis of an invoice. Part of familiarizing yourself with client billing policies is learning and properly applying the myriad of specialized task-based billing codes unique to each client.